The Carolingian Empire (800–888) was the final stage in the history of the early medieval realm of the Franks, ruled by the Carolingian dynasty. The size of the empire at its zenith around 800 AD was 1,112,000 km², with a population of between 10 and 20 million people. With its division in 843, it also represents the earliest stage in the history of the kingdom of France and the kingdom of Germany, which in the High Middle Ages would emerge as the powerful monarchies of continental Europe, Capetian France and the Holy Roman Empire, and by extension the predecessor of the modern nations of France and Germany. The beginning of the Carolingian era is marked by the coronation of Charlemagne, or Charles the Great by Pope Leo III at Christmas of the year 800, and its end with the death of Charles the Fat. Because Charles and his ancestors had been rulers of the Frankish realm earlier (his grandfather Charles Martel had essentially founded the empire during his lifetime, and his father, Pepin the Short, was the first King of the Franks), the coronation did not actually constitute a new empire. 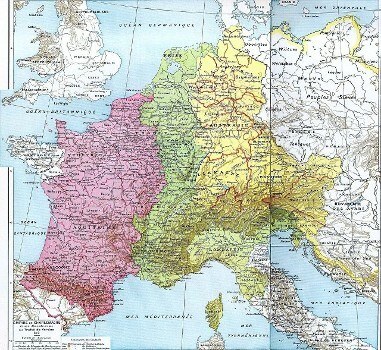 Most historians prefer to use the term "Frankish Kingdoms" or "Frankish Realm" to refer to the area covering parts of today's Germany and France from the 5th to the 9th century. Though Charles Martel chose not to take the title King, as his son Pepin III the Short would, or Emperor, as his grandson Charlemagne would become titled, he was absolute ruler of virtually all of today's continental Western Europe north of the Pyrenees. Only the remaining Saxon realms, which he partly conquered, Lombardy, and the Marca Hispanica north of the Pyrenees were significant additions to the Frankish realms after his death. 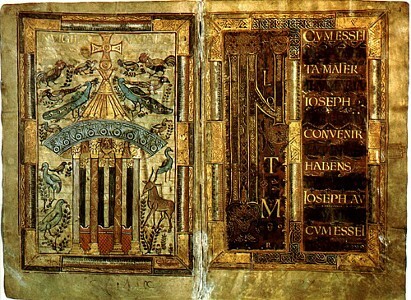 Martel was also the founder of all the feudal systems and merit system that marked the Carolingian Empire, and Europe in general during the Middle Ages, though his son and grandson would gain credit for his innovations. 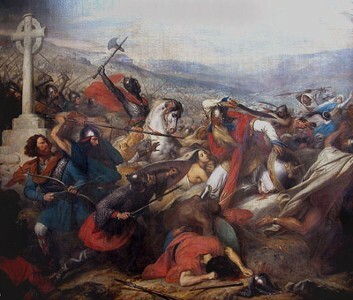 Further, Martel cemented his place in history with his defense of Christian Europe against a Muslim army at the Battle of Tours in 732. The Iberian Saracens had incorporated Berber lighthorse cavalry with the heavy Arab cavalry to create a formidable army that had almost never been defeated. Christian European forces, meanwhile, lacked the powerful tool of the stirrup. In this victory, Charles earned the surname Martel ("the Hammer"). Edward Gibbon, the historian of Rome and its aftermath, called Charles Martel "the paramount prince of his age." Pepin III accepted the nomination as king by Pope Zachary in about 751. 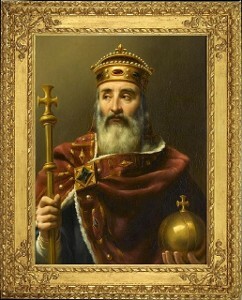 Charlemagne's rule began in 768 at Pepin's death. He proceeded to take control over the kingdom upon the death of his brother, a co-inheritor of Pepin. Charlemagne was crowned Roman Emperor in the year 800. The Carolingian Empire during the reign of Charlemagne covered most of Western Europe, as the Roman Empire once had. Unlike the Romans, who ventured beyond the Rhine only for vengeance after the disaster at Teutoburg Forest (9 AD), Charlemagne decisively crushed all Germanic resistance and extended his realm to the Elbe, influencing events almost to the Russian Steppes. 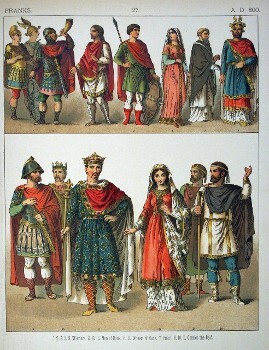 Prior to the death of Charlemagne, the Empire was divided among various members of the Carolingian dynasty. These included King Charles the Younger, son of Charlemagne, who received Neustria; King Louis the Pious, who received Aquitaine; and King Pepin, who received Italy. Pepin died with an illegitimate son, Bernard, in 810, and Charles died without heirs in 811. Although Bernard succeeded Pepin as King of Italy, Louis was made co-Emperor in 813, and the entire Empire passed to him with Charlemagne's death in the winter of 814. Lothar received the Imperial title, the Kingship of Italy, and the territory between the Rhine and Rhone Rivers, collectively called the Central Frankish Realm. Louis was guaranteed the Kingship of all lands to the east of the Rhine and to the north and east of Italy, which was called the Eastern Frankish Realm which was the precursor to modern Germany. Charles received all lands west of the Rhone, which was called the Western Frankish Realm. Lothar retired Italy to his eldest son Louis II in 844, making him co-Emperor in 850. 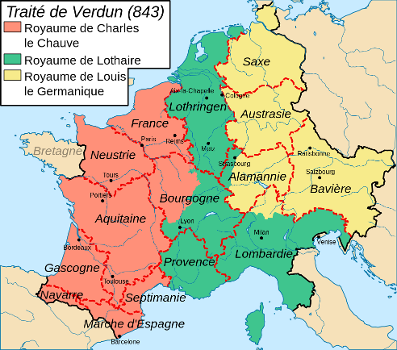 Lothar died in 855, dividing his kingdom into three parts: the territory already held by Louis remained his, the territory of the former Kingdom of Burgundy was granted to his third son Charles of Burgundy, and the remaining territory for which there was no traditional name was granted to his second son Lothar II, whose realm was named Lotharingia. Louis II, dissatisfied with having received no additional territory upon his father's death, allied with his uncle Louis the German against his brother Lothar and his uncle Charles the Bald in 858. 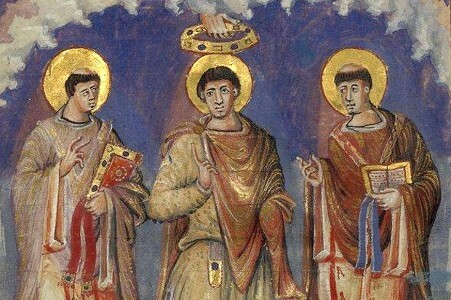 Lothar was reconciled with his brother and uncle shortly after. Charles was so unpopular that he could not raise an army to fight the invasion and instead fled to Burgundy. He was only saved when the bishops refused to crown Louis the German King. In 860, Charles the Bald invaded Charles of Burgundy's Kingdom but was repulsed. Lothar II ceded lands to Louis II in 862 for support of a divorce from his wife, which caused repeated conflicts with the Pope and his uncles. Charles of Burgundy died in 863, and his Kingdom was inherited by Louis II. Lothar II died in 869 with no legitimate heirs, and his Kingdom was divided between Charles the Bald and Louis the German in 870 by the Treaty of Meerssen. Meanwhile, Louis the German was involved with disputes with his three sons. Louis II died in 875, and named Carloman, the eldest son of Louis the German, his heir. 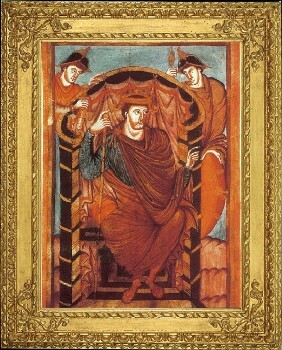 Charles the Bald, supported by the Pope, was crowned both King of Italy and Holy Roman Emperor. The following year, Louis the German died. Charles tried to annex his realm too, but was defeated decisively at Andernach, and the Kingdom of the eastern Franks was divided between Louis the Younger, Carloman of Bavaria and Charles the Fat. The Empire, after the death of Charles the Bald, was under attack in the north and west by the Vikings, and was facing internal struggles from Italy to the Baltic, from Hungary in the east to Aquitaine in the west. Charles the Bald died in 877 crossing the Pass of Mont Cenis, and was succeeded by his son, Louis the Stammerer as King of the Western Franks, but the title of Holy Roman Emperor lapsed. Louis the Stammerer was physically weak and died two years later, his realm being divided between his eldest two sons: Louis III gaining Neustria and Francia, and Carloman gaining Aquitaine and Burgundy. 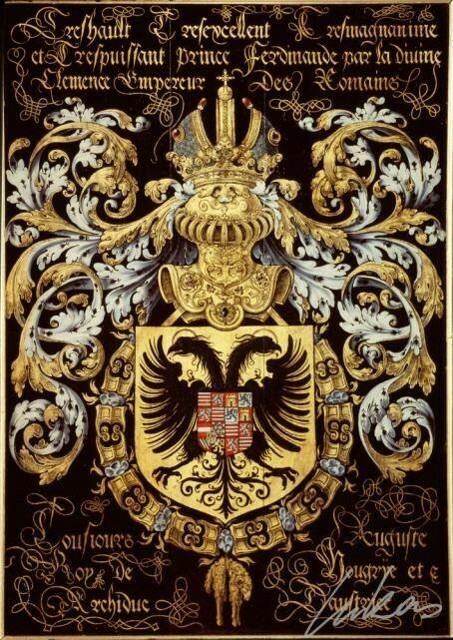 The Kingdom of Italy was finally granted to King Carloman of Bavaria, but a stroke forced him to abdicate Italy to his brother Charles the Fat and Bavaria to Louis of Saxony. Also in 879, Boso, Count of Arles founded the Kingdom of Lower Burgundy in Provence. In 881, Charles the Fat was crowned the Holy Roman Emperor while Louis III of Saxony and Louis III of Francia died the following year. Saxony and Bavaria were united with Charles the Fat's Kingdom, and Francia and Neustria were granted to Carloman of Aquitaine who also conquered Lower Burgundy. Carloman died in a hunting accident in 884 after a tumultuous and ineffective reign, and his lands were inherited by Charles the Fat, effectively recreating the Empire of Charlemagne. Charles, suffering what is believed to be epilepsy, could not secure the kingdom against Viking raiders, and after buying their withdrawal from Paris in 886 was perceived by the court as being cowardly and incompetent. 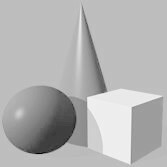 The following year his nephew Arnulf of Carinthia, the illegitimate son of King Carloman of Bavaria, raised the standard of rebellion. Instead of fighting the insurrection, Charles fled to Neidingen and died the following year in 888, leaving a divided entity and a succession mess. The Empire of the Carolingians was divided: Arnulf maintained Carinthia, Bavaria, Lorraine and modern Germany; Count Odo of Paris was elected King of Western Francia (France), Ranulf II became King of Aquitaine, Italy went to Count Berengar of Friuli, Upper Burgundy to Rudolph I, and Lower Burgundy to Louis the Blind, the son of Boso of Arles, King of Lower Burgundy and maternal grandson of Emperor Louis II. The other part of Lotharingia became the duchy of Burgundy. It has long been held that the dominance of the Carolingian military was based on a "cavalry revolution" led by Charles Martel in 730s. However, the stirrup, which made the 'shock cavalry' lance charge possible, was not introduced to the Frankish kingdom until the late eighth century. Instead, the Carolingian military success rested primarily on novel siege technologies and excellent logistics. However, large numbers of horses were used by the Frankish military during the age of Charlemagne. This was because horses provided a quick, long-distance method of transporting troops, which was critical to building and maintaining such a large empire. The largest cities in the Empire of Charlemagne around 800 AD were. Rome 50,000. Paris 25,000. Regensburg 25,000. Metz 25,000. Mainz 20,000. Speyer 20,000. Tours 20,000. Trier 15,000. Cologne 15,000. Lyon 12,000. Worms 10,000. Poitiers 10,000. Provins 10,000. Rennes 10,000. Rouen 10,000.